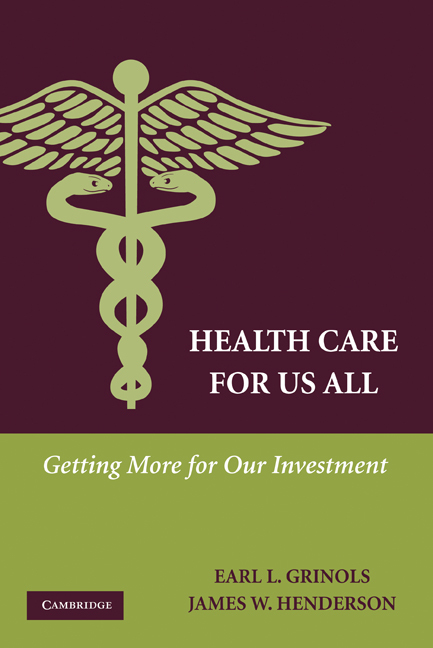 Earl Grinols is co-author of Health Care for Us All: Getting More for Our Investment (2009) and Gambling in America: Costs and Benefits (2009). Grinols has served as Distinguished Professor of Economics at the Hankamer School of Business, Baylor University since 2004. He previously taught at MIT, Cornell University, the University of Chicago, and the University of Illinois. Professor Grinols worked as a research economist for the Department of the Treasury and as Senior Economist for the Council of Economic Advisers. He has extensively published in the fields of finance, public finance, international economics, and macroeconomics. A Route to Sensible Health Care?